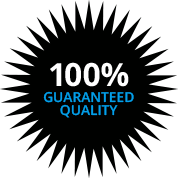 Kasper Electrical is the trusted source for electrical services in North Palm Beach, Florida. We have been providing top notch electrical repairs and installations in this area for over 35 years, so we have had the opportunity to develop countless relationships with people throughout the county. This planned community is one of the most desirable places to live in the Sunshine State, and it is the home of the legendary golfer and golf course designer Jack Nicklaus. In fact, one of his signature courses can be found at the North Palm Beach Country Club. We can provide swift responses to service calls from all parts of town, from Village Center to Juno Ridge to the Route 1/Cypress Drive section. If you ever need a licensed electrician in North Palm Beach, Florida, we will be waiting by the phone. If you are a homeowner, you are invariably going to need the services of a residential electrician from time to time. 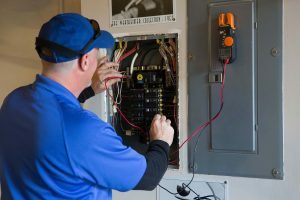 We provide a comprehensive slate of residential electrical services, including work on outlets and switches, appliance installations, wiring repairs, ceiling fan installations, whole house surge protection, light fixtures, and any other electrical situation that may present itself. Our company can also be engaged to complete North Palm Beach, FL outdoor lighting projects, including landscape lighting that can bring your property to life when the sun goes down. A backup generator can certainly come in handy if there is an extended power outage, and given the weather patterns in south Florida, this is something that you should certainly be concerned about. Generators are another area of expertise for our company, so we can install the right backup generator to provide you with total peace of mind. We will always be here to help when you require the services of a residential electrician, but we also provide commercial electrical services. Our commercial electricians can handle all types of assignments, including large-scale new construction projects. Plus, we are very well equipped, so we have the ability to complete commercial electrical jobs that require the ability to reach considerable heights. Call Kasper Electric Right Now! If you need a licensed electrician in North Palm Beach, FL for a residential or commercial job of any size or scope, we can be reached by phone at 561-285-8036.